What are your Big Game Day Traditions? Do you create a game score bracket? Set up a tag-football pick up game to play before? Or do you just watch for the commercials and food? My family is HUGE on sports, so Game Day is pretty serious for us and we do just about everything to prepare for the Big Day. My favorite tradition is definitely the food. I like seeing what everyone comes up with and sampling everything. This year I decided to spice up an old family favorite recipe and thanks to Mezzetta, it was mess free and delicious. Chips and Dip are a must have for the Big Game Day, right? I love Guacamole. You can use chips or even bread. It's easy to make and just about everyone loves it. This time around I used Mezzetta Deli Sliced Tamed Jalapeno Peppers. Have you ever diced an actual jalapeno pepper? 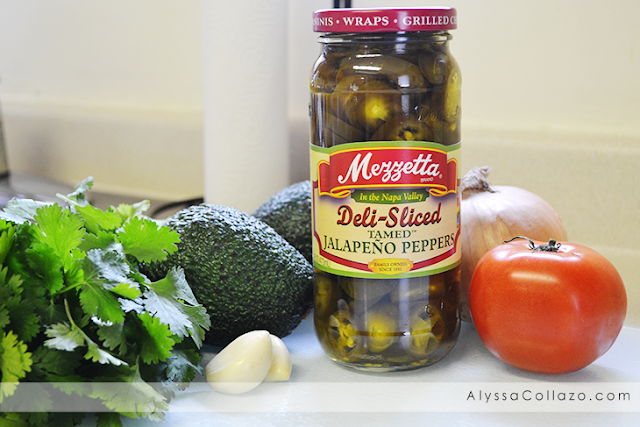 It's a long messy process, but with Mezzetta Jalapeno Peppers they are already sliced. All you have to do is remove the seeds and dice away! 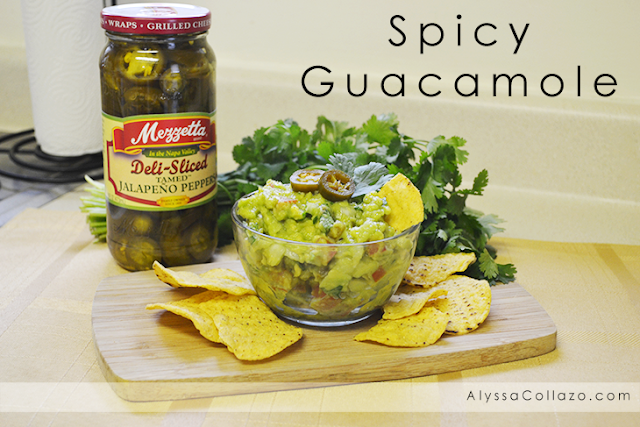 Mix everything together and Garnish your dish with Mezzetta Deli Sliced Tamed Jalapeno Peppers, I used two slices. And there you have it, the perfect Game Day dip. 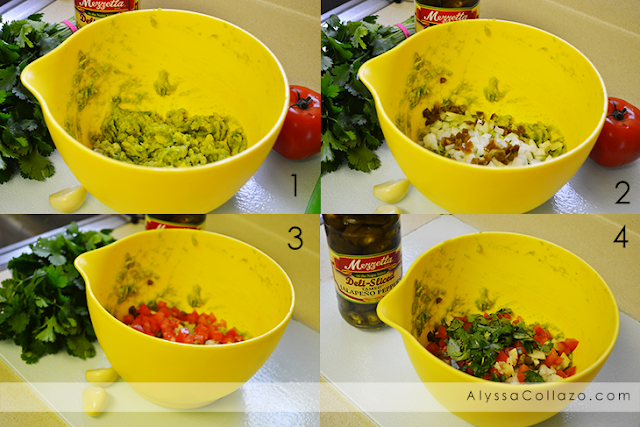 This Spicy Guacamole is full of flavor, colorful and your guests will surely want more, plus the recipe. If you want the dip a little spicier, add 1/4 tsp of the Mezzetta Deli Sliced Tamed Jalapeno Peppers juice and you'll feel your taste-buds explode! But, before you go, I have some exciting news about Mezzetta and their Homegating Sweepstakes. Winners Chosen at Random. Winner will be notified and will receive prize within 2 weeks. 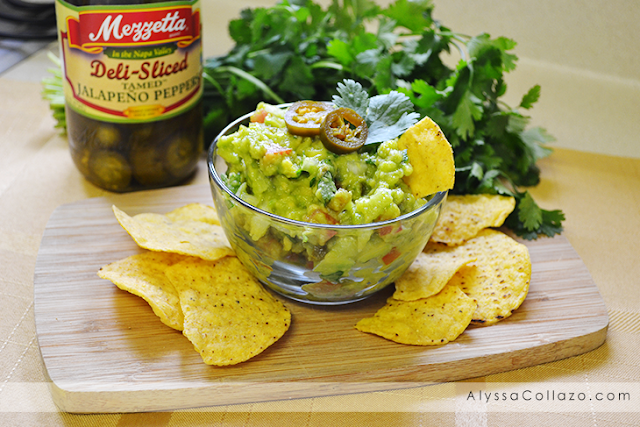 Do you have any Game Day Mezzetta inspired recipes? Guacamole is definitely one of my all-time favorite foods! I'm from Texas, and it's basically like ketchup to me. It just makes everything better! I love Mezzetta products. We always have them in the pantry but I've never tried their jalapenos! Thanks for the heads up and the great contest! I love making homemade guacamole. This looks and sounds delicious. I can't wait for the Big Game! How delicious and spicy is the best. The spicier the better in fact and I always achieve that with these jalapenos. Thank you for sharing. I've never tried guacamole. In fact, I've never really known what it is. Thanks for the enlightenment. I will have to try making some. We made homemade guacamole for girl scouts a couple years ago and loved it! This sounds like a great way to spice it up! I always love some homemade guac! Although this might be a liiiiitttle too spicy for me lol. Im a huge baby when it comes to spice. Thanks for sharing! I love guacamole! always wanted it a bit more spicy and now I know how to make it. I will look for Mezzetta brand peppers in my supermarket. I am not a fan of spicy food but it's guacamole!!! I think the Mezzeta brand peppers did its magic for this recipe. I will try to buy one for myself. We always have pickled jalapenos in the fridge, so I know I'll be using some to make a batch of your guac (one of my faves). It looks super delicious! Guacamole is one of my favorites with tortilla chips! So good! I will have to give this a try at my next get together! Looks delicious and like the perfect game day food. I don't usually make my guacamole spicy but I will have to give it a try. This looks amazing! I love guacamole. My family is addicted to the tame jalapenos from Mezzetta. I buy at least 2 jars at a time, lol. MMM this sounds so yummy. I have been saying for a long time that I want to try and make guacamole. Yes load up on the jalepeno peppers! This is a great recipes and I am crave jalepenos right now!